According to a report from Chinese media Mobile Dad, this year's purported Huawei-made Nexus smartphone could feature a HiSilicon chip in place of Qualcomm silicon. Fully owned by Huawei, HiSilicon is China's number one integrated circuit design company, and the chip in question is the Kirin 930 - its top-tier product, which will (reportedly) power Huawei's upcoming flagship smartphone, the Ascend P8. Set to launch in April, this model could turn out to be our first glimpse of what the Nexus 7 will become in terms of design ideas and raw horsepower. Now, back to the CPU. The Kirin 930 sounds like a force to be reckoned with! It's fabricated on a 16nm process and it has eight 64-bit cores - a set of four Cortex-A57 cores and four Cortex-A53 cores. The maximum work frequency is 2GHz, and is future-proof to the point of supporting 32MP camera sensors. In other words, this chip can breeze through calculations with the best of them, but all the rumors about its inclusion in the next Nexus are just that - rumors. For all we know, Huawei - if it ends up making the next Nexus for real - could place it exclusively inside the phone's Chinese variant. This could be a cool processor. It also depends on how much juice it uses for more intensive tasks. iphone 6 is the best in market at gpu performance. No it's not . Adreno 430 will blow it away . For phones currently, the Mali T760 MP8 used in the 7420 is currently the best. For tablets, I think the GXA6850 has a slight lead over the GX1 in tegra K1. The X1 is better than both by a good margin and I think Nvidia announced a shield gaming console. Just so you know, GXA6850 isn't the name of iPad Air 2's GPU. That is however what Anandtech nicknamed it. Oh, i know that. GXA is for i think GX Apple and 6850 probably because it's 8 cluster GPU. It's a pretty good nickname and better than saying 2 6450 GPU in some combination. You could just call it iPA2's GPU. Wrong, it's the best at the pityful barely more than HD resolution, on titles that are capped at 720p you'd be hard pressed to find it perform better other than platform optimization. Karin Processor have been subpar compared to Qualcomm, Tegra or Exynos. I hope this one is on the same level as the Snapdragon 810. Hoping for the Exynos 7420 level is too much. All the chip makers above are using 100% off-the-shelf cores from ARM. Absolutely nothing special about any of these chipsets other than how BAD the battery life will be. Especially since they are ALL too dumb to see that 2 Powerful custom cores is the BEST mobile configuration for high performance SoC's. A8 does NOT THROTTLE. EVER. That's the benchmark these folks need to hit. And so far they are failing miserably. I just hope the next Nexus is around 5.0" and not that tablet in the pictures. NO!!!!! kirin always uses the backdated version of mali. 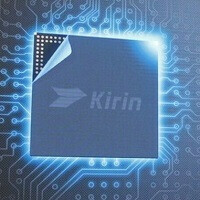 The best soc they have right now, kirin 928, uses mali T628 mp4 which has the same performance as the adreno 320. DAMN, that's the only reason I hate huawei and their kirin SOCs. New Nexus will not be outed until next December. All of your wild prognostications are totally worthless. If these rumors are true, there will be no Nexus for me this year. That 2 + 2 big.LITTLE configuration better than their true octa core IMO. If 2.4GHz A72 really delivers 1385 single core score at Geekbench 3 it should be slower than A57 clock by clock. Also means Qualcomm Snapdragon 620's A72 cores clocked at 1.8GHz should be powerful as Snapdragon 805, not more powerful than Snapdragon 810 as some people suggested. Kirin 930 doesn't contain A57 cores. It's a true octa core A53 exactly like Mediatek MT6795. Check out Huawei's Mediapad X2 press release. http://m.huawei.com/enmobile/consumer/press/news/hw-415713.htm Also they didn't mention 16nm in it. For 2GHz A53s it would be kind of waste. If you only do implement A53s just for sake being cheap, you won't choose very expensive 16nm FinFET manufacturing process. At the April 2014 we heard about a Nexus device oncoming with a Mediatek chip. Later we got Anroid One. That rumors about Huawei, Kirin and next Nexus not so dissimilar. Also considering timing it could be next generation Android One instead to a Nexus. Did you stop to think that about the fact that a high frequency A53 set up would end up with 100% fluid UI performance AND better performance than SD 800? People don't realize how dated their SoC's are. Any Krait based SoC is essentially a 3 year old CPU. A53 is VASTLY superior when comparing raw power to efficiency. In fact, I did. 2.2GHz A53 almost fast as 2.7GHz Krait 450. But that's upper limit for it at 28nm as I understand. Definitely it's not weak the way Cortex-A7 were. I'm not underestimating it. Just saying it's not powerful as A57 and chipmakers implement it for low cost. If you targeted premium devices, you should choose A57 (or A72 from now). Always thought a fast clocked quad core A53 (lets say 2-2.2GHz) and a bit powerful GPU (Mali-T760 MP4) would be much better than octa core A53 and weaker GPU (Mali-T760 MP2). Latter came from MT6752.